You will receive a $50 gift voucher for $25! Voucher can only be used to purchase wine at James Arthur Vineyards and From Nebraska Gift Shop - located at 803 Q St. in Lincoln. James Arthur Vineyards is now the largest winery in Nebraska, producing wine from its estate vineyard, as well as contracted growers throughout the state, with its focus always on producing the highest quality Nebraska product.The estate has also grown into the acquisition of new land and the addition of apples, pears and other fruit crops. 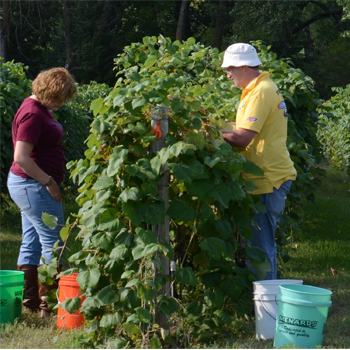 There is always something going on at James Arthur Vineyards! Visit jamesarthurvineyards.com for a schedule of upcoming events! From Nebraska Gift Shop is the local showcase for the best products made in Nebraska, located right in the middle of the Heartland. 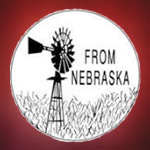 From Nebraska Gift Shop specializes in a variety of gifts and products made or grown in Nebraska, including food, wine, clothing, books, artwork and many other fantastic local products. If you are having trouble coming up with the perfect gift for any occasion, From Nebraska Gift Shop has you covered. Voucher can only be used to purchase wine at James Arthur Vineyards and From Nebraska Gift Shop.